"Hamilton, Alan 80p large format pbk, all colour illustrations. The Latest in the SETTING THE EAST ABLAZE series. 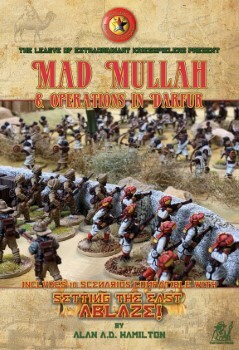 Detailed background, 10 scenarios, maps , orbats, Army lists for StEA etc. IF you are a Colonial gamer, or have a hankering for sometHing different to do with your WWI troops, I commend this to the House"